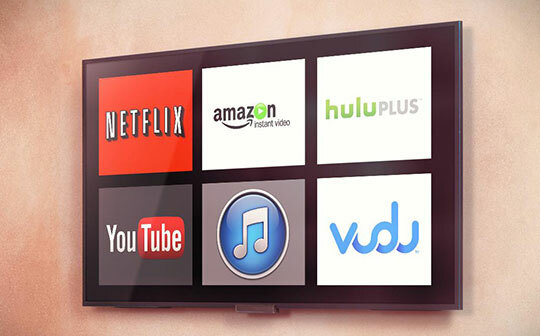 You are here: Home > Tutorials > Internet > What’s Next for Online Streaming Services? Cable television is almost a thing of the past. Online streaming services are taking the web by storm, and they have been since the presence of Netflix began to surge through social media, memes, and word of mouth. Netflix became a household name and revolutionized online streaming, giving entertainment lovers tons of options of shows and movies to watch without having to torrent the content or buy a $20+ DVD. Now, Netflix is even releasing its own content (like Orange is the New Black or House of Cards) instead of just allowing users to stream older movies and TV shows. And these Netflix originals are, for the most part, actually good and even critically acclaimed in some cases. 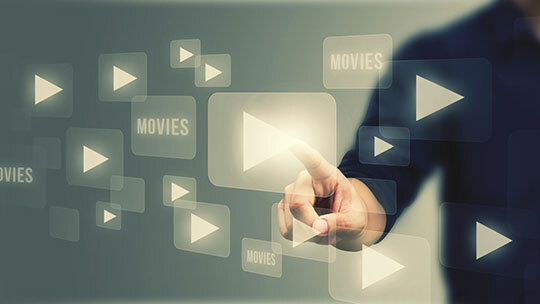 It seems like there is no limit on what online streaming services can do, and more providers are trying to compete with the already-existing providers. Though the top dogs are still Netflix, Hulu, and Amazon Instant Video, competitors are coming from all angles to try and steal their thunder. Will they be able to take these powerhouses down, though? What new features and innovations will be necessary to become competitive in a market that already is well-developed with companies that people seem to love? Premium cable networks are creating a presence online with their own streaming services. Networks like HBO, STARZ, and SHOWTIME all have their own services that aren’t really even heard about. Maybe HBO GO shows up occasionally, but only because it’s the easiest way to catch up on the latest Game of Thrones episode. Other established companies are dipping their feet into the streaming game. FandangoNOW, PlayStation Vue, iTunes, GooglePlay, and YouTube all exist as streaming services, but they still aren’t as popular as Netflix or Hulu. There seem to be only a few other lower-tier streaming services that don’t have the name recognition that the others do: VUDU, CinemaNow, and Sling TV to name a few. It definitely doesn’t hurt to have the brand recognition before starting a service before a company knows how it will turn out. Money to fall back on doesn’t hurt either. Most of the services that appear to excel over the others possess original content, such as those Netflix originals that are so well-loved. Potentially the most promising upcoming competitor in the online streaming industry is a company called VIDGO. VIDGO plans to give consumers options to completely customize and individualize their monthly plans, something that Netflix and Hulu haven’t really mastered. VIDGO also intends on allowing customers to have 5 screens on an account at once, whereas Netflix only allows for 4 screens on their premium package. VIDGO will even allow users to add 5 more screens for only a few more dollars each month. That might seem a little overwhelming, but hopefully, the VIDGO online platform will be easily accessible and allow simplicity for this feature. The newest and most innovative feature that VIDGO plans to expand upon is that the provider will offer cable television channels as part of their packages. Services like SlingTV and PlaystationVue have begun the cable streaming phenomenon, but VIDGO intends to expand the idea and offer as many channels as the regular cable and satellite providers do. Users will be able to customize what channels they receive as well, and will prevent spending copious amounts of money on 900 channels when they only actually tune into 6 of them. Along with the cable network streaming, VIDGO will offer on-demand television shows and movies, just like all the other services do. They will host popular content as Netflix does, but there’s no telling whether or not VIDGO will start releasing their own brand of entertainment. There’s also not a set release date for the service yet, but expect it sometime in the back half of 2016. With so many different options of services, it’s just about impossible to have a monopoly in the field. However, most people who pay for multiple streaming services have a combination of Netflix and something else. Is it that Netflix has the best catalog of entertainment? What about their simplicity or cheap cost? The best bet would be the constant societal commentary that surrounds Netflix. “Netflix and chill” or “Let’s stay in and Netflix tonight” circulates in-person dialogue and social media every day. Many don’t even explore the show and film catalogs of other services because they assume Netflix is the best because of its popularity, which isn’t a bad argument. Why would people use it if the content wasn’t great? With the entire buzz online about streaming services, there’s no telling where that technology will go next. Will Netflix and Hulu reign supreme, or will “VIDGO and chill?” become the new trend? Yes, it’s correct what you said in the article. But there are some more websites are also available like YuppTV which is been the best source to watch Indian all Regional TV Channels and Movies. Moreover, this Most of the NRIs is following YuppTV. This Company is also providing the Mobile App Facility also for their customers throughout the world which are great to watch your favorites with irrespective of the location.